Eyan specializes in cutting tools. One of our most popular products is Saw Grinder. This circular saw grinder is of high quality and cost-effective. Not only that, the saw grinder has other impressive advantages such as, efficiency, high accuracy of TCT saw grinder, easy-to-set-up user interface, and good durability of circular saw grinder. 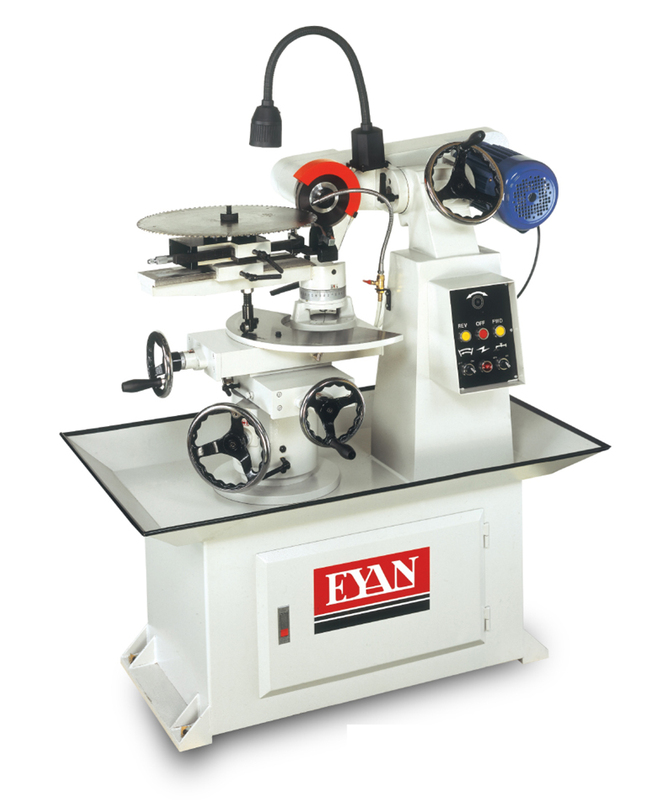 Eyan is an expert in making grinders for saw blade. The saw grinder we have here is the best circular saw grinder you can get in the market. We constantly develop the new technology of making saw grinders, and innovative equipments to make circular saw grinders. As time goes by, we have clients all over the world. Clients are satisfied with the quality of our TCT saw grinder. Our saw grinder can be applied to furniture, bike, motor bike, and components that electronic needs. Our aim is to supply high quality saw grinder at competitive prices and never fall short of our clients' expectations. We have won ourselves good reputation by supplying excellent saw grinders, and we will keep supplying TCT saw grinders in the future. Need a reliable supplier of circular saw grinder? No one you can count on except Eyan. •Specially designed for grinding carbide saws easily and efficiently. 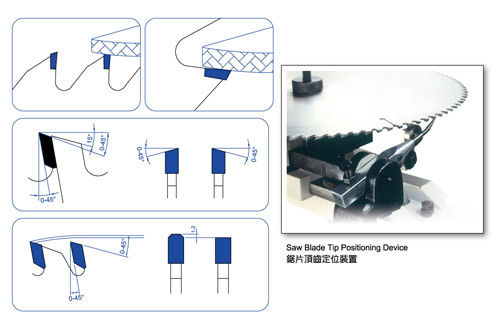 •High accuracy and easy set-up of center of the blade thickness. •Parallelism of saw seal ±0.005mm and with good durability. •With years of manufacturing professional grinders, this Carbide Tip Saw BladeGrinder increases users' working efficiency. •Sel-up characteristic: for complete self-set-up or as complementdevice forother machines.